Miami-Dade condo sales fell back down again last week, likely thanks in part to the July 4 holiday. The county recorded 109 closings for a total of $55 million, up from the previous week’s $79.2 million sales volume. Condos last week sold for an average price of about $503,000 or $366 per square foot. The priciest deal was the $5.45 million sale of unit 1002 at Mansions at Acqualina. The 4,609-square-foot condo traded hands for nearly $1,200 per square foot. It was listed with Yansy Checa. Marla Cohen brought the buyer. The second most expensive condo closing last week was the $3.5 million sale of unit 1204-S at Oceana Key Biscayne. The 1,873-square-foot condo was on the market for slightly over a year. Bruno Ricci represented the seller, and Giulietta Ulloa brought the buyer. Closing prices in the top 10 deals ranged from about $1.5 million to the $5.5 million Mansions at Acqualina unit. According to the Miami Association of Realtors, luxury home sales in Miami posted double-digit gains while existing condominium transactions surged year-over-year in December 2017. Luxury ($1 million-and-above) existing Miami condo sales jumped 47.6 percent year-over-year, from 42 to 62. Luxury Miami single-family home sales rose 16.7 percent, from 60 to 70. Existing Miami condo sales increased 6.5 percent year-over-year in December, while single-family transactions stayed effectively even (down 0.7 percent). Federal tax reform, which was signed into law Dec. 22, 2017, sets a deductions cap for income, sales and property taxes at $10,000. The new cap could lead more residents of states with high property values and state income tax to purchase properties in states such as Florida, which has no state income tax and a pro-business tax structure. Total existing Miami-Dade County residential sales — which posted a record year in 2013 and near record years in 2014 and 2015 — increased 2.9 percent year-over-year from 2,156 to 2,219. Miami existing condo sales — which are competing with one of the most robust new construction markets in the country — increased 6.5 percent year-over-year, from 1,084 to 1,154. Single-family home sales decreased 0.7 percent, from 1,072 to 1,065. Many Brazilians are buying at such condo developments as One Thousand Museum, Three Hundred Collins and Turnberry Ocean Club. Many wealthy Brazilians are buying real estate in the Miami area again after a retreat during the last two years. Fernando de Nuñez y Lugones, executive vice president of ONE Sotheby’s International Realty, told Mansion Global that Brazilians are starting to buy more U.S. properties after many of them canceled purchases last year. De Nuñez cited a recent increase in Brazilian interest in units at Turnberry Ocean Club, a 54-story condominium in Sunny Isles Beach, where 21 percent of the international buyers have been Brazilians. 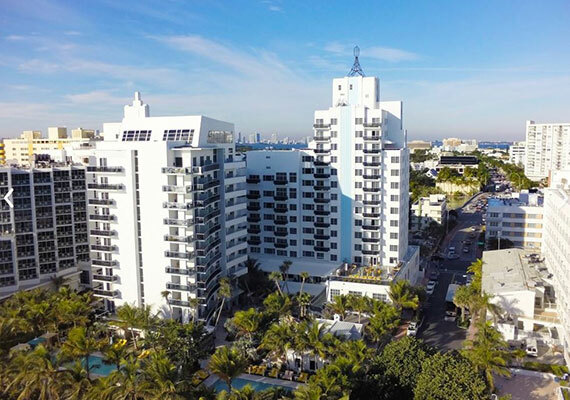 At Three Hundred Collins in Miami Beach, Brazilians have bought four of the 16 luxury condos sold so far during the construction phase of the 19-unit development, which has units priced from $1.7 million to $9 million. Three Hundred Collins is expected to be completed in October. Louis Birdman, co-developer of One Thousand Museum, a 62-story condominium in Miami designed by Zaha Hadid Architects, said 40 percent to 45 percent of the preconstruction buyers are Latin Americans, and more than half of the Latin buyers are Brazilians. 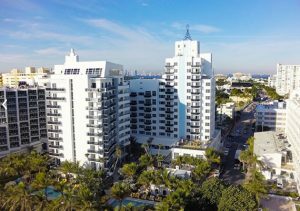 From South Beach to Fort Lauderdale, hotel properties were hot tickets in South Florida’s commercial real estate market this year, often fetching top dollar from investors looking to grow their foothold in the region. Even with news of a possible oversupply in some cities and the Zika virus hurting tourism, the hospitality industry was the grounds for many of South Florida’s priciest real estate deals in 2016. The Real Deal compiled the five most-expensive hotel trades that closed this year for your reading pleasure.